When you visit a Community Health Center site, you can expect to be seen by a medical provider who can provide you with top quality primary care. Yet there is much more to our health care than simply getting the care we need during a checkup. We all need to adopt healthier lifestyles and the staff of CHC provide good examples of this. 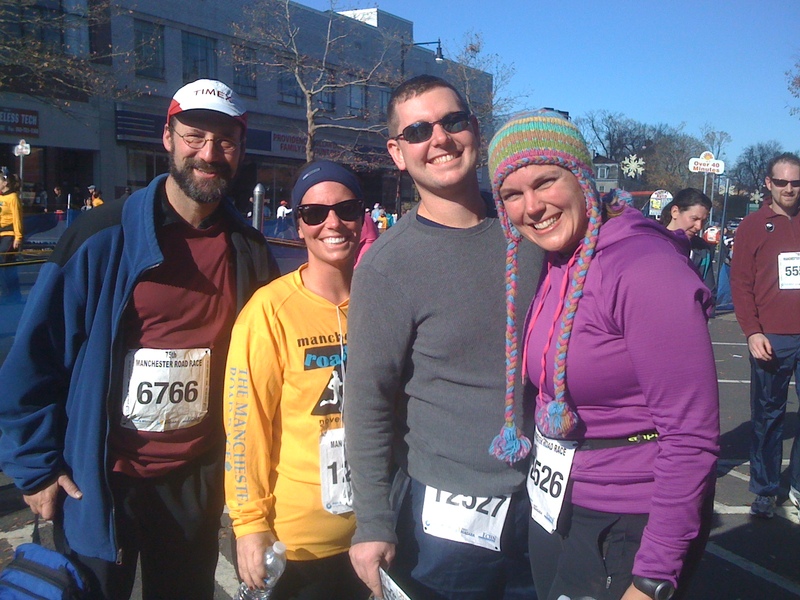 Last week, several CHC providers and friends participated in the 75th Annual Manchester Road Race. Other employees regularly walk or run before work or during their lunch breaks. Besides regular checkups and regular exercise, there are other important things to be done to stay healthy. While it may not feel like flu season yet due to the warm weather, the flu is starting to come around. 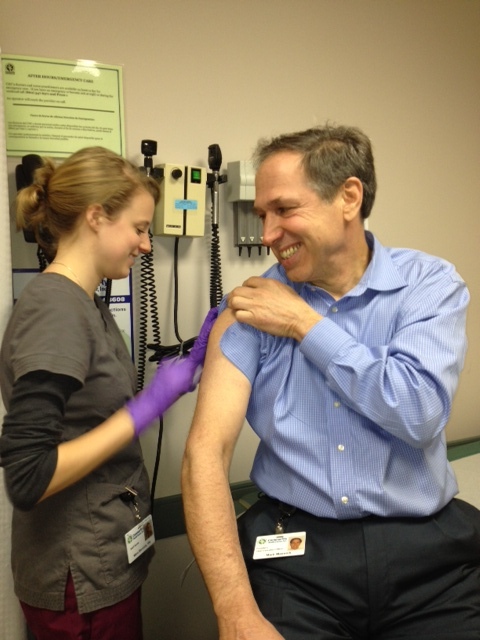 Yet it isn’t too late to get a flu shot, as our CEO and President Mark Masselli reminds us as he gets his flu shot. 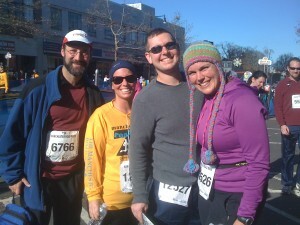 Besides looking to CHC for great primary care, you can count on CHC staff to set examples of healthy living. I’ve gotten my flu shot. Have you?